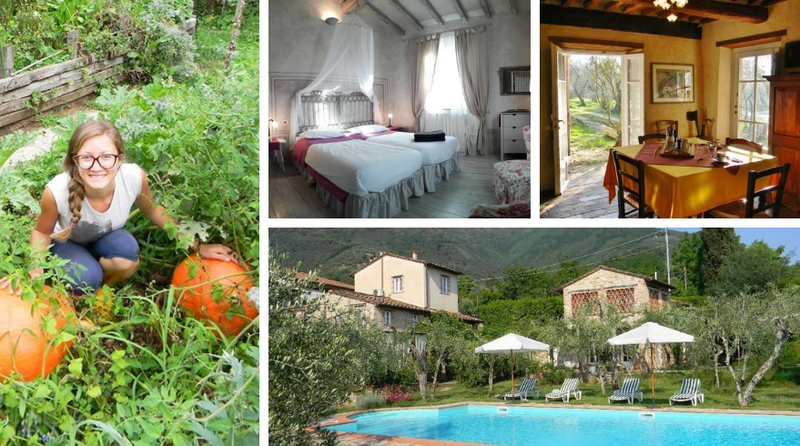 Four Tuscan cottages surrounded by the green hills of Versilia. A welcoming family waiting for you with open arms. A table filled with delicacies picked directly from the garden. Is there a better way to flee from the daily routine and to relax according to nature’s time? Gaia and her family decided to overturn their lives, leave chaotic Milan and find shelter in the tranquility of Tuscan hills. Thanks to their love for this land and the environment, Borgo4case was born. 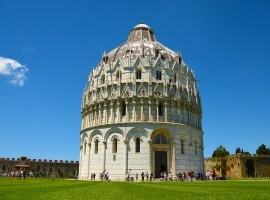 It’s an eco-friendly accommodation surrounded by secular olive groves and marvelous hills. This is their adventure. 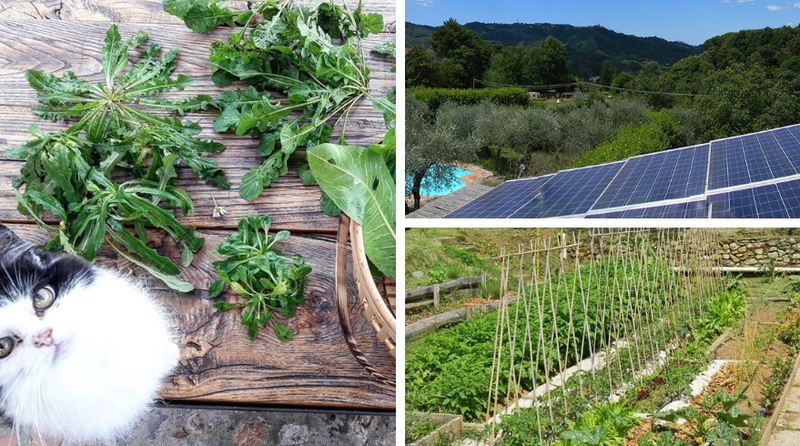 Hi Gaia, how was your project of eco-hospitality born? 30 years ago, my parents, Paola and Lucia, bought a little abandoned stable and renovated it. They wanted to create their country shelter, where to escape in order to take a break from Milan. Each summer, my parents and I used to travel to Versilia. In this corner of Tuscany, there was a completely different atmosphere from the city’s one, made of green hills and carefree tranquility. Over the following years, I saw Villa Gaia grow and renovate; I met the first clients, who wanted to breathe the same quiet air that I found every summer in Camaiore. With many sacrifices, my parents were building some cottages surrounded by nature in the places where I grew up, to share the harmony we found there with strangers. Finally, I understood that what I wanted to do was waking up every morning surrounded by all these olive groves and hills, where also my relatives had found peace and tranquility during our holidays. That was the moment to overturn my life and move to Camaiore, from the big city to the rolling hills with a one-way ticket. At the beginning, there was only Villa Gaia, and then as the years went by, we had the chance to buy other small houses in the same land. We need to change the name into Borgo4case, but we kept all our values: environmental sustainability, love for nature and welcoming hospitality. Which slow eco-friendly way of live do you propose to your guests? Borgo4case is a quiet place, surrounded by the nature of Tuscan hills. Here our guests can really take a break and enjoy nature’s colors and sounds, relaxing in fresh stone-made houses and in the olive grove around the pool. 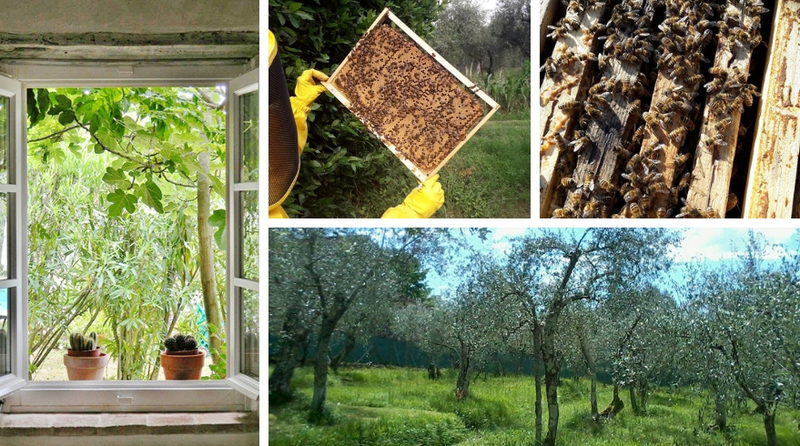 In particular, children can make contact with nature: they can take part in the activities in the garden and the olive grove, discover bees’ world, playing with hens and much more. We manage everything respecting nature’s times and with biological methods. 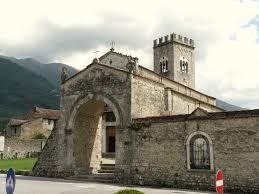 Which itineraries and green experiences do you suggest to your visitors in Borgo4case? Camaiore Valley, crossed by the Via Francigena, offers many opportunities to hike or to bike on the hills and in the Regional Park of the Alpi Apuane. Moreover, there are many places to climb, many little villages to discover and breathtaking landscapes. Just a few kilometers away, there are also the Massaciucoli Lake, a natural oasis for nature and water-sports lovers (sailboat, canoeing, kayak), the free beach of Lecciona, in the Park of Migliarino San Rossore and the art and culture of cities such as Lucca, Pisa, Pietrasanta. Our goal is try to close locally the cycles, as much as we can. For example, the energy demand of Borgo4case is supplied through three photovoltaic plants with storage batteries that allow us to be, partly, independent. We produce compost with the organic waste, and we use it as fertilizer for the garden. We collect the rainwater in a small lake and we use it to water the garden. Doubtless, the garden is what gives us most satisfaction: The taste of our vegetables repay for all the work and the effort of growing them! Grow on your own everything you need gives always many satisfactions! What does being an “Ecobnb” mean to you? For us, being an Ecobnb means being part of a network of change that we want to support. Not only a sustainable life-choice, but also an input to continuously improve and reduce our impact on the environment. Hosting guests in our eco-friendly houses allows us to meet people who think like us, with whom exchange experiences, choices and dreams. For your Slow Holiday in Italy this is the perfect address! 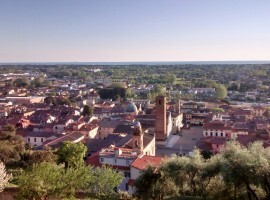 This entry was posted in green hotels and tagged Borgo4case, Camaiore, Italy, Tuscany. Bookmark the permalink.